Aegex Technologies are a technology engineering and design company that provides low-cost, easily deployable, intrinsically safe Industrial Internet of Things (IIoT) and mobile solutions for hazardous industries. 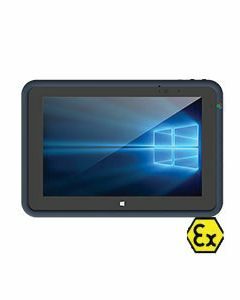 Aegex's globally certified intrinsically safe Windows 10 tablet, sensors and partner monitoring systems, form an IoT platform that manages big data to improve efficiency, safety and productivity in hazardous industrial environments in oil & gas, chemical, pharmaceutical, utilities, public safety, defense and other industries with potentially explosive atmospheres. Our solutions provide cloud connectivity to personnel working in some of the world’s most volatile environments, including ATEX/IECEx Zone 1 and UL913 Class I, II, III Division 1 hazardous locations. Aegex design, test and manufacture their products at their state-of-the-art R&D facility, AegexLabs, where their multi-layered testing procedures ensure the strictest adherence to international standards of safety and reliability. Aegex also test their products under extreme conditions at the world’s premier facility for emergency management training, the Guardian Centers, so our customers can trust they are getting the best quality and safest equipment.